With Maggie as my guide leading me up and down the surreal, green grassy hills behind the White Rocks Inn Bed and Breakfast it was as if I'd stepped into a Hallmark movie. 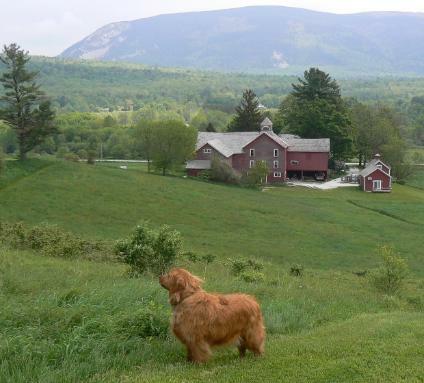 Maggie, of course, is the very happy Golden Retriever and loving, loyal mascot of the White Rocks Inn family. From atop the hill the view of the massive red wedding barn and white New England Colonial farm house that make up the Inn is the stuff from which poems are written. The serenity and natural beauty there just doesn't seem to stop. Innkeepers Rita and Malcomb Swogger originally moved to Vermont because of its majestic scenery, but now love their small town of Wallingford because of its delightful ambience and super-friendly residents? ?this town is just filled with wonderful and friendly folks,? says Rita, a former accountant turned hospitality person. Most people only get to see views like this in the movies. 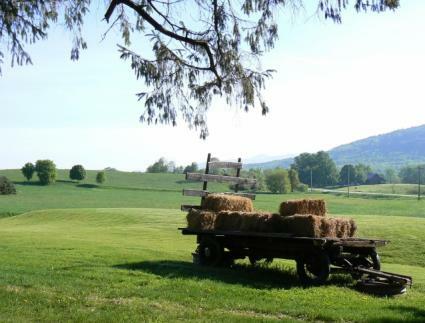 The tall, rolling deep-green hills and mountains of this middle Vermont paradise community make a contrast to the often clear-blue skies that no television film trickery could ever mimic. One thing visitors to the area will quickly notice, once they've regained control of their dropping jaws, is how clean Vermont is. Immaculate streets and highways?over which the now and then enormous moose will carelessly stroll?wind through the state delivering continuous Kodak moments. 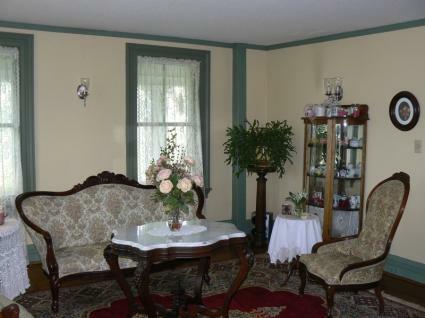 As a guest of the White Rocks Inn B & B, rest assured you'll be with family even if you didn't bring any. Rita and Malcomb will pamper you as if you're one of their own. The old mansion sits gracefully cuddled between hundred year old Maple trees with massive trunks mangled and warped by a century of time. Inside, there's no shortage of character and charm as the canopy beds and plethora of antiques work perfectly with the few creaky floor boards and an atmosphere that easily takes you back to a period in time even before the perfectly restored 1939 Cadillac Limousine parked out back. And, of course, ghosts?Malcomb will be more than happy to share the eerie legends and actual experiences the White Rocks Inn has quietly recorded over its amazing, long life. The Inn is absolutely beautiful, but the awe isn't limited to just the mansion. 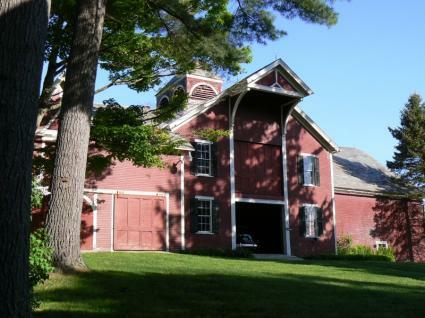 Behind the stately home is the most incredible and stunning barn you'll ever lay eyes on. The massive virtually 3-story high bright-red barn with white trim host's weddings and banquet events like no other place can. With more than 15,000 square feet of immaculate, rustic space, and clean enough for any gorgeous wedding gown to flaunt about worry-free, this has to be the coolest place anywhere to have a party?it's like a little theme park in the mountains. As a guest, one can choose to stay in the mansion itself or opt for a bit more privacy in one of the two adorable cottages that make this Inn more of a resort with a Bed and Breakfast experience. 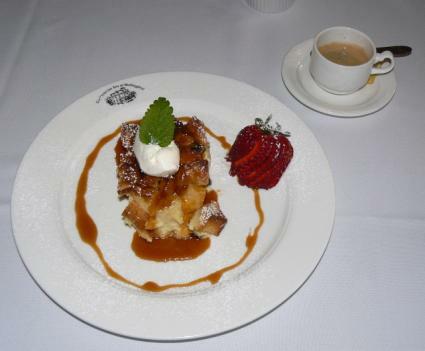 Breakfast is nothing less than the fondest of memories you'll share with friends for years to come. Rita and Malcomb's philosophy for the Inn is that you'll arrive as guests and leave as friends. Each room in the White Rocks Inn has its own working fireplace; including the two cottages which were created out of the old milk house and chicken house originally used for more farm-practical purposes. At tea time guests are further pampered with fresh-baked cookies and choice of teas. The Inn offers a tantalizing combination of quaint elegance that sweeps you up and right into your own mini romance novel. Rita will even prepare you a basket picnic you can enjoy on the top of the hill overlooking nothing less than a utopian country side with air fresh enough to clean the city out of your lungs. Wallingford, Vermont, the little charm of a town where all of this takes place is simply too cute to miss. 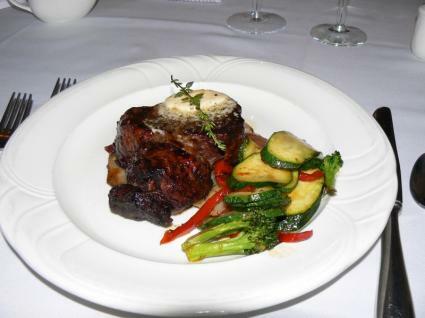 And, for an evening out you'll never want to end, the Victorian Inn Restaurant at Wallingford will enchant the life back into you. In a slightly gothic, but nonetheless Victorian architecture, the restaurant offers exquisite dining. Beautiful food that looks simply too good to eat is what's on the menu at the Victorian?of course, eating it is much more fun. Chef and owner Stanti Schönbächler brings his international culinary experience and native Swiss influence into the Victorian with items such as Escargot with pesto-butter sauce that will leave your taste buds dancing, Filet Mignon with horseradish sauce, and desserts like Crème Brulée, Tiramisu and Chocolate Terrine?just a few of the mouth-watering choices in this truly fabulous restaurant. 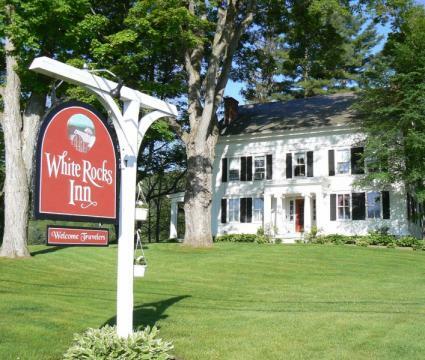 The ideal vacation or romantic getaway is one that leaves you wanting for more, but getting away to Wallingford and the White Rocks Bed and Breakfast Inn is much more than that. This is truly a fantasy getaway for which pictures can do little justice.